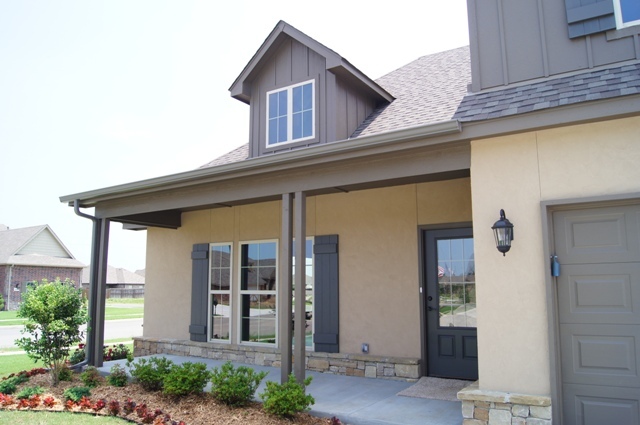 CHEYENNE | Perry Hood Properties, Inc. This Perry Hood Properties, Inc. 2 story floor plan has 4 bedrooms, 3.5 baths and a 2 car garage with approximately 2500 sq. ft. 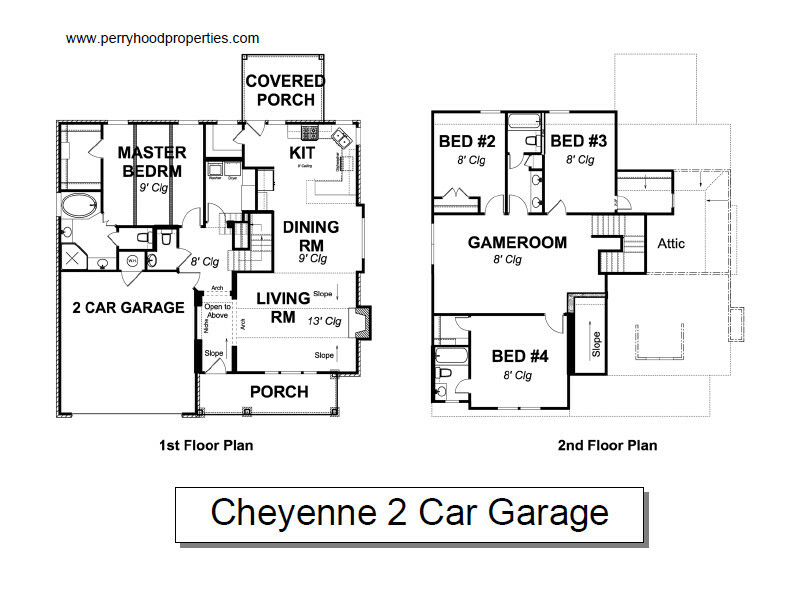 The Cheyenne features a large game room, three bedrooms and two full bathrooms upstairs. Staggered height cabinets, granite countertops, stainless steel appliances, work desk, and walk-in lighted pantry make the kitchen functional and beautiful. Convenient patio access off the kitchen. Jay Rambo cabinetry is standard in this kitchen. This two story home offers incredible space!